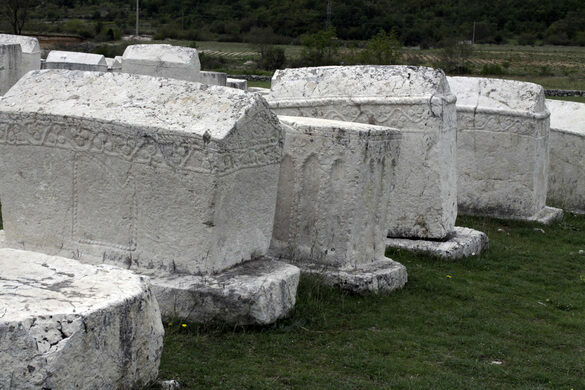 A field filled with carved medieval tombstones called stećak. 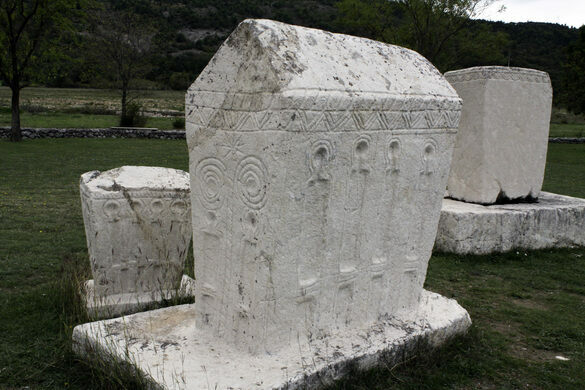 Stećak are unique medieval tombstones that can be found in different locations all over Bosnia and Herzegovina and neighboring countries. 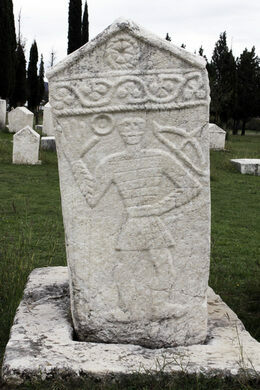 Radimlja, located just outside of the town of Stolac, has the highest concentration of these medieval tombstones, with over 100 examples of the stećci monuments. The tombstones are huge rocks, many with decorations carved on the sides. 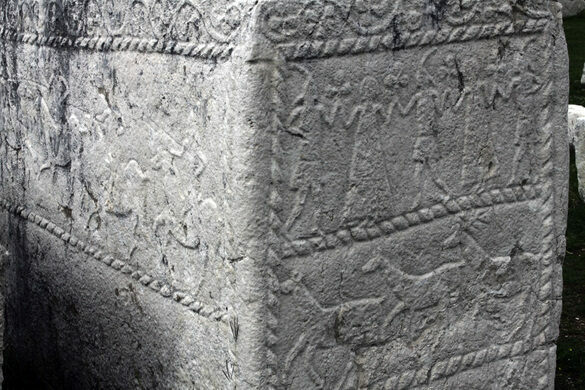 Strolling through the stone necropolis, you can find inscriptions of greeting figures, horsemen, cattle animals, the Moon and stars, swords, flowers, and geometric patterns. Many tombstones have the distinctive shape of a house with walls and a tilted roof, like a symbolic home in the afterlife. An apparition of Virgin Mary in Herzegovina.